Trader Joe's Chocolatey Coated Chocolate Chip Dunkers. Here we are, many years and many reviews later, and we haven't reviewed them. These cookies are packaged in a tub - a big tub. A 24 container of dunkers costs $4.99. A mom's (my) take: There's a reason we've never reviewed these. I can't have them in the house...or I'd be as big as my house. 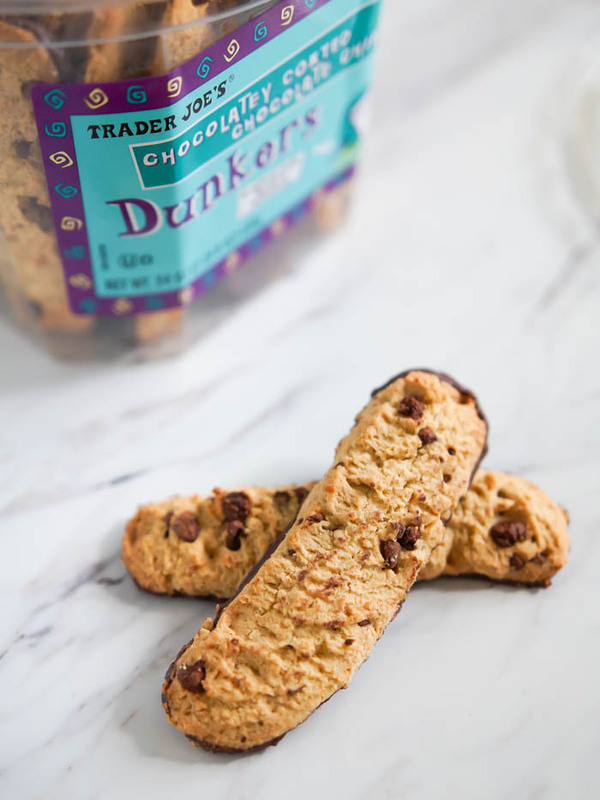 These chocolate chip dunkers are perfectly crisp and perfectly crunchy without being crumbly. The chocolate coating on the underside is soft; have some napkins at the ready. While I'm not a cookie-into-milk dunker, I love them on their own. And I bet they'd be amazing with a cappuccino like these. A teenager's (Jack's) take: These are great! I haven't had them in a while, and they are definitely one of the Trader Joe's classics as far as dessert goes. 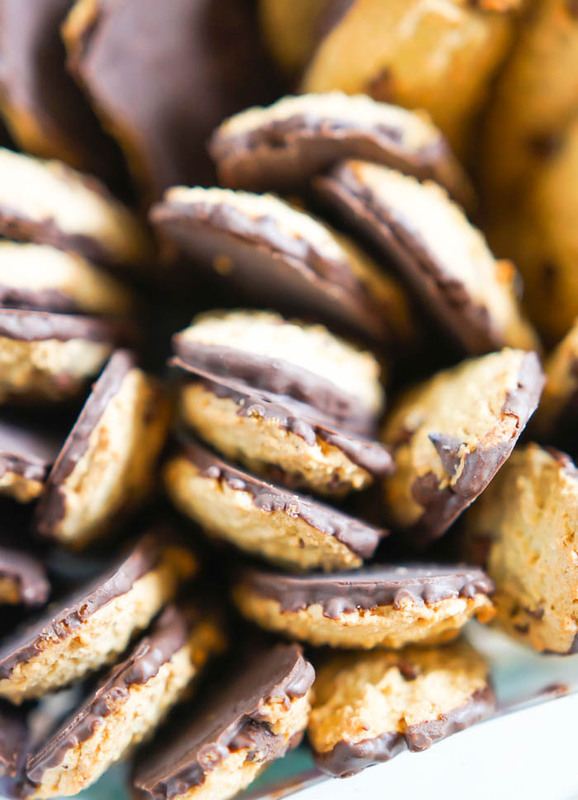 The chocolate coating is the flavor that hits first, followed by the equally chocolate-y chips in the cookie itself. The only (minor) downside to these is that the cookie itself doesn't have very much flavor; it's more of a base to hold everything together. But, if you're a fan of chocolate, these will keep you very happy. 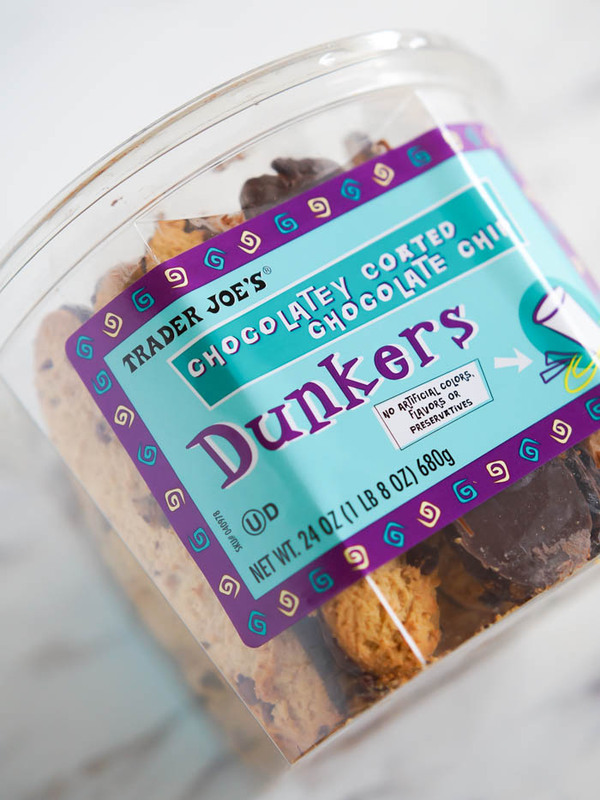 Trader Joe's Chocolatey Coated Chocolate Chip Dunkers: Try them! I hear ya - I could never have those in my house either. That tub would make me a tub! These are a staple whenever we go into TJ's! My three kids (and let's face it - my hubby & I as well) love them! I love TJ's cookies. They are extremely delicious and part of my evening snack with a cup of tea since forever. Sadly I've moved and all I wish is for them to open up a branch here as well! i've been long term vacationer of your site. i've absolved that the dressing is the maximum primary for character. while you a not well get dressed up that you will now not be in properly and proper approach in our society. suitable blog and keep it up thank you.